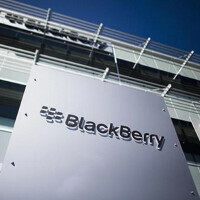 Here is some good news for those BlackBerry 10 users who like to use Android apps on their 'Berry phones. Android runtime is getting updated to Android 4.3 on BlackBerry 10.3. Those who have tested the update say that Android apps open in less than two seconds, a major improvement over the speed at which these apps open in BlackBerry 10.2. And in BlackBerry 10.3, Android runtime will appear on the BlackBerry native apps sharing menu. Considering that developers aren't exactly beating down the doors to deliver native BlackBerry apps, it definitely helps to have the manufacturer continue to make improvements in this area. There are also many non-Android improvements in the new BlackBerry OS build. On Monday, we told you about some of these new features that are coming. Some of what will seem new to 'Berry users in 10.3, are things that Android and iOS users have had on their phones for awhile. We're talking about features like actionable notifications that might not be exciting anymore for Android users, but could seem like a big deal for BlackBerry users. So why don't you buy an Android phone from the beginning instead of buying a phone with a limited OS and then download Android apps on it?. So ridiculous Blackberry. Just try to build your own apps. No need for silly copying. As I've said previously, BlackBerry should buy Cyanogen and make an open source secure version of Android which can be licensed to the up and coming Chinese Android HW makers. This would enable BlackBerry to ride a huge growth wave... something the company sorely needs after so many years of implosion. BlackBerry, contrary to public belief, is a company that has a lot of IP and know how when it comes to security and messaging. Cyanogen doesn't have these things and is basically just a startup. There is some chance BlackBerry could ruin Cyanogen, this is true. But business involves risk. From an investment perspective, this sort of deal could be a massive money maker -- and change the future of Android in a good way. I like the idea, this would certainly help BlackBerry out a lot, BUT do they have the cash to make such an acquisition happen? The Cyanogen team seem very loyal to Android OEMs and seem to be getting closer to Oppo. Anyway, I like the idea, it's certainly risky, but what more can BB do at this point? And with their knowledge in security and dat encryption, the Chinese OEMs will lap it up in large numbers. again..... its a stupid idea. why? BB 10.2.1 is awesome as f****! You get the best of both worlds. You get the great fast and responsive blackberry 10 OS with the highest compatibility html5 browser on the planet. You get to install and run web apps and you get to install and run Android apps in a protected environment. Win, Win. I see most of the comments on here are from people who currently don't own or use a blackberry 10 device. How is CM a successful company? They have one product which isn't even released yet. And in a minor player in the industry, no less. They're a startup, and so is the company making the phone they're loaded on.
" Just try to build your own apps" They have and its fantastic. "No need for silly copying." copying? I think I agree with you. Chen should push for native app development rather than bettering support for apps written for another platform. Android apps will do them good now, but in the long term, native app development will be better for them and the OS as a whole. The apps should be natively coded and should look according to the aesthetics and UI of the platform. Chen does push for native apps. But it's been a slow process. In the meantime, not only are there Android sdk's for BlackBerry, but there are many very nice third party apps for BlackBerry. iGrann, for instance, is a feature rich instagram client for BlackBerry, much like 6tag is for WP. But WP has an official Instagram app, which BB10 doesn't. That's what NFTW is trying to say. Still trolling every BlackBerry article huh junior? It's amazing... At least other trolls like JohnNokia and Manti123 comment on other articles. But not you... You just troll BlackBerry articles. You literally have no comments elsewhere. Is this comment directed to me? No. Its directed at Nikolas.Oliver, PA's very own BlackBerry troll supreme. Damn, Nikolas...aren't you an Android fan? So how come you only comment on BlackBerry articles? Is it because you secretly love BlackBerry? That must be it. The only other option is that you're a sad little troll with no life whatsoever. 1. The BB10 OS isn't limited at all. You must be thinking of iOS and WP. 2. People are going to buy what they like. I know it's a hard concept for trolls like you to understand, but try to use that limited brain capacity for something other than trolling. Nobody's trolling BB10 here dude. Its a great OS and has some features that are on par or better than iOS, Android & WP. The only thing I'm trying to say is that Chen should push for native development rather than improving performance of apps written natively for another platform. There's nothing better than native apps offering full features and aesthetics of the UI. Also, it's not advisable relying on another OS's app store for your app needs. The only thing OSes like WP & BB10 need are apps. Now WP is seeing a steady growth in terms of quality apps as MS is providing more incentives for developers to code for the platform. Even Chen should follow suit and provide more incentives for BB10's developers to code native apps and provide a complete experience for their users. Never said you were. Nikolas.Oliver is a notorious BlackBerry troll. Even says so in his PA bio. He doesn't comment on any other article, just BlackBerry ones, and always offers nothing of substance and states lies with no facts. Because maybe someone wants the BlackBerry 10 experience. What's it to you? If you have an Android phone and are happy with it, then fine. Stop trolling BlackBerry articles and let others do as they please. So wait a minute, Android apps will work zippier on another platform than on their own Android OS?